Lovely character home located on a west facing, 11500 sq ft lot centrally located in South Surrey near shops, schools, and transportation. Set well back from 161st with a gated entry, homeowners can enjoy the private, picturesque front garden or relax in the backyard with its manicured lawn and bbq area. 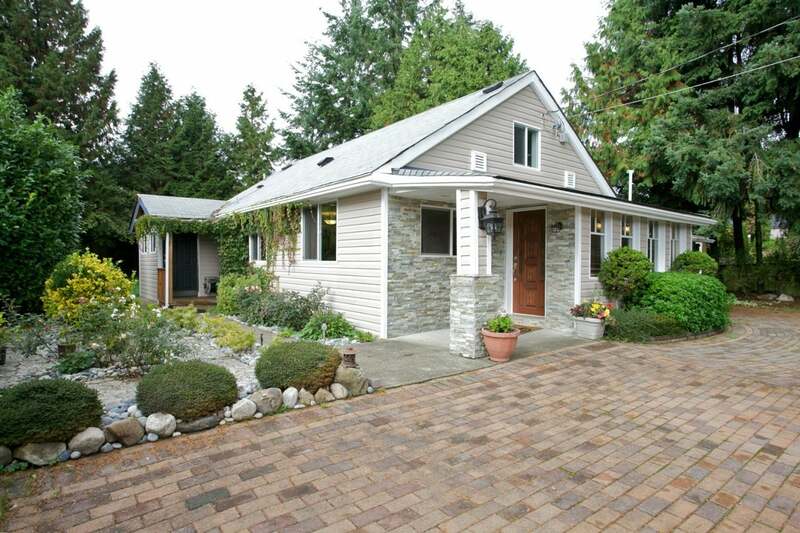 Extensively renovated and added onto this rancher has over 1700 sq ft of living space. Updates include: roof, siding, windows, furnace, on demand water system, plus more! The main level has 2 bedrms, an office (poss 3rd bdrm), as well as an open area living room, dining room, and kitchen. The family room opens on to the front garden. The loft (under 6') makes a perfect play space and extra bdrm. This unique home would work well for homeowners or investors. Open Sun, Oct 18, 2 - 4. Floor Area 1,778 Sq. Ft.